Podcast: How feasible is Rahul Gandhi's NYAY scheme electoral promise? A K Bhattacharya explains the problems with the proposed dole of Rs 72,000 per year for 20% poorest families, and how such schemes are not fiscally prudent. 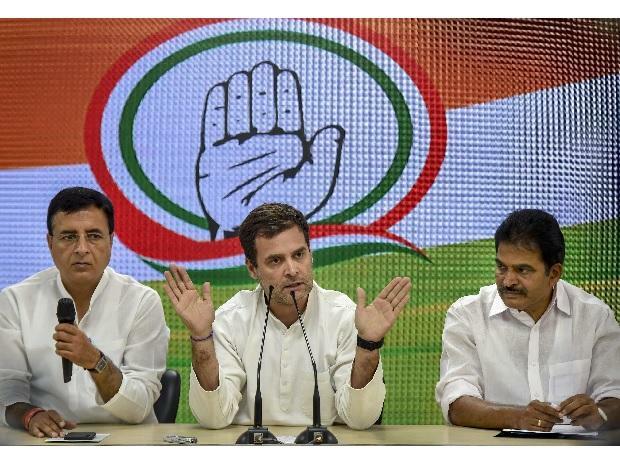 In his party’s latest round of welfarism in the run-up to the Lok Sabha Elections 2019, Congress President Rahul Gandhi recently announced that Rs 72,000 per year – or Rs 6,000 a month – would be deposited directly in the bank accounts of the country’s 20 per cent poorest households. The targeted beneficiaries of the proposed Nyuntam Aay Yojana (NYAY) are going to be 250 million individuals, or roughly 50 million families. It is hardly surprising that the Congress’s chief political opponent — the ruling Bharatiya Janata Party (BJP) — has sought to rubbish the NYAY scheme, calling it economically unviable. Listen to this podcast to understand the economic sense, or the lack of it, in the NYAY scheme and other programmes like these, as A K Bhattacharya discusses the NYAY scheme and evaluates it through the lens of fiscal prudence.